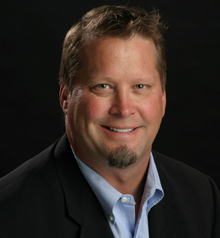 Dr. Scott Mills has been an accomplished, board-certified, licensed radiologist for more than 15 years. A graduate of the University of Colorado School of Medicine, Dr. Mills performed his internship at AMI Presbyterian Hospital in Denver, received his residency training in radiology at the University of Colorado Health Sciences Center, and was awarded a fellowship in Magnetic Resonance Imaging at the University of California San Diego. He has co-authored many articles in medical peer-reviewed journals and has been privileged to present programs at such venues as the Radiological Society of North America’s Annual Meeting, the American Federation for Clinical Research, and the San Diego Postgraduate MRI Course. Dr. Mills is certified by the National Board of Medical Examiners and the American Board of Radiology. He is proficient in all areas of MRI interpretation, particularly musculoskeletal and neuroradiology. Scott is always available to help you evaluate which imaging procedure will provide the most clinical information on your patient. 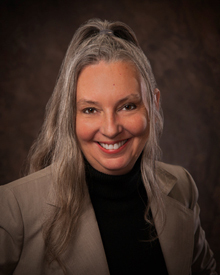 Dr. Stephanie Rufener joined our team in November of 2009. She obtained her medical degree from the Oregon Health and Science University School of Medicine. She completed radiology residency training at the University of Michigan Health System followed by a neuroradiology fellowship at Oregon Health and Science University. Dr. Rufener is certified by the American Board of Radiology and has published several radiology journal articles. As part of our team, Stephanie has made a tremendous contribution to our imaging centers. Dr. Rufener is always available to help you determine which imaging modality will provide the most pertinent clinical information for you and your patient. Amy S. Thurmond, M.D. brings 25 years excellence in women’s imaging. Dr. Thurmond’s professional accomplishments include international recognition for her research and continuing work in women’s health and reproductive issues. 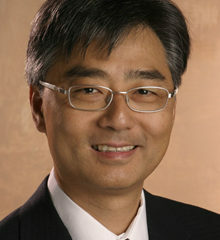 After graduating from UCLA Medical School in 1982, Dr. Thurmond completed an internship in surgery at Oregon Health Sciences University, a fellowship in cardiology at St. Vincent Medical Center in Portland, Oregon, and both a residency in radiology and a fellowship in interventional radiology/research at OHSU. She was the Director of both Women’s Imaging and Ultrasound at OHSU until 1993, worked as a staff radiologist at Legacy Meridian Park Hospital until 2005, and helped found EPIC West in 2000 working there until 2010. Dr. Thurmond provides important work in the day to day diagnosis of breast problems, abnormal vaginal bleeding, infertility, and other pelvic and pregnancy issues. PORTLAND’S MOST TRUSTED CHIROPRACTIC RADIOLOGIST After receiving his B.S. from the University of Oregon and post graduate study at the University of Wisconsin and Portland State University, Dr. Wei received his Doctor of Chiropractic degree from Western States Chiropractic College in Portland. He is on the post graduate faculty at Western States, and has taught at the Portland School of Radiology, the National College of Naturopathic Medicine and the Southwest College of Naturopathic Medicine in Tempe, AZ. He has published radiologic studies in many peer-reviewed and scientific journals. More than a dedicated scholar, Dr. Wei immerses himself in the analysis and interpretation of imaging studies from the chiropractic point of view – always with the well-being of your patients in mind. Dr. Nutter obtained her medical degree at the University of Mississippi School of Medicine. She performed her residency training at the same location where she was recognized as Resident of the Year 2004-2005 by the Department of Radiology. Following residency, Dr. Nutter obtained specialized training at University of Mississippi Medical center as a fellow in Musculoskeletal Radiology. Dr. Nutter is Board Certified by the American Board of Radiology and has co-authored an article published in radiology literature. Dr. Lum obtained his medical degree at the University Of South Alabama College Of Medicine and performed his radiology residency at this same facility. Following residency, Dr. Lum obtained specialized neuroradiology fellowship training at the University of South Alabama Medical Center and then became an assistant professor of radiology at this facility. 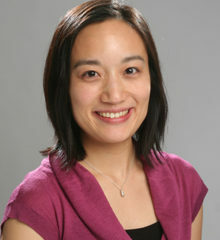 Dr. Lum also adds extensive expertise in neuroradiology and MRI to Radiology Specialists. Dr. McCoy obtained his medical degree from Louisiana State University. He did his radiology residency at the University of Texas Health Center in San Antonio. Following residency Dr. McCoy did a fellowship in Cardiothoracic Imaging at Wake Forest University. This was followed by a fellowship in neuroradiology at the Medical College of Wisconsin. Dr McCoy is a welcomed addition to our excellent team of radiologist. Dr. McCoy completed a fellowship in neuroradiology and thoracic radiology.